[Dry Hair Cap] These dry hair caps are made of superfine fiber,soft and comfortable. 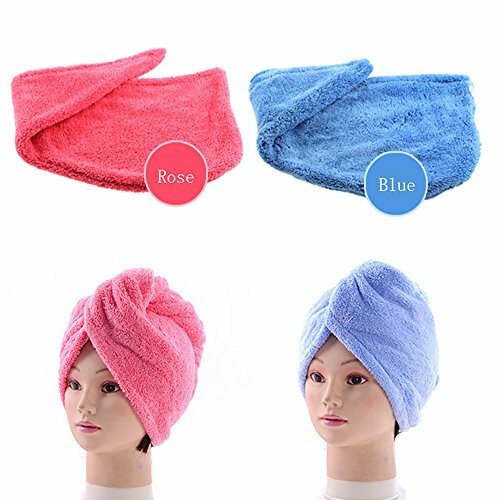 [Easy to use] Just put it around your hair after hair washing,and clip with button. [Long and Short Hair suitable]Suitable for all hair styles, reduce the time you spend to dry your hair, protect your hair from hot air damage.